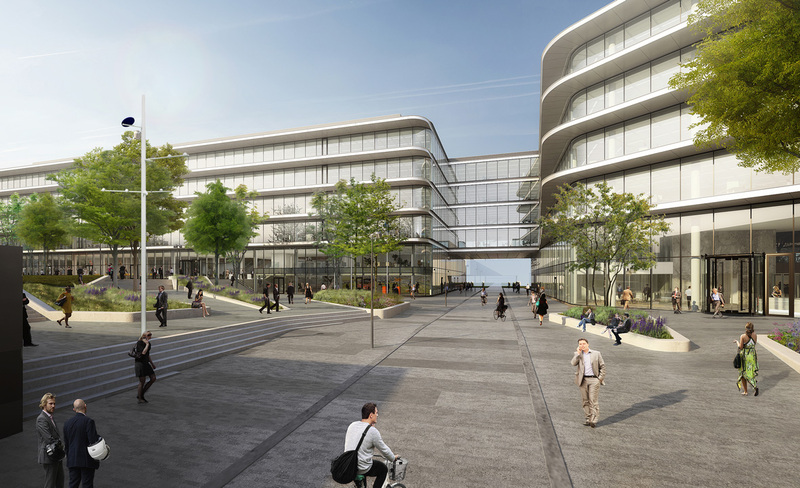 ING’s future new global headquarters in Amsterdam Southeast broke ground in on July 5th. The new Benthem Crouwel designed headquarters will be open and transparent, linked to the surrounding ING buildings, supporting collaboration and flexible working. karres+brands designed a campus environment, linking together the five ING offices on the Bijlmerdreef, including the Retail Netherlands headquarters. The buildings Financial Plaza and the Treasury Centre will be renovated to be more easily accessible and better suited to flexible working. There will be a park and pavilion in front of the global headquarters. The park will be a common space, easily accessible to employees and locals – a place to meet, feel energised and be inspired. 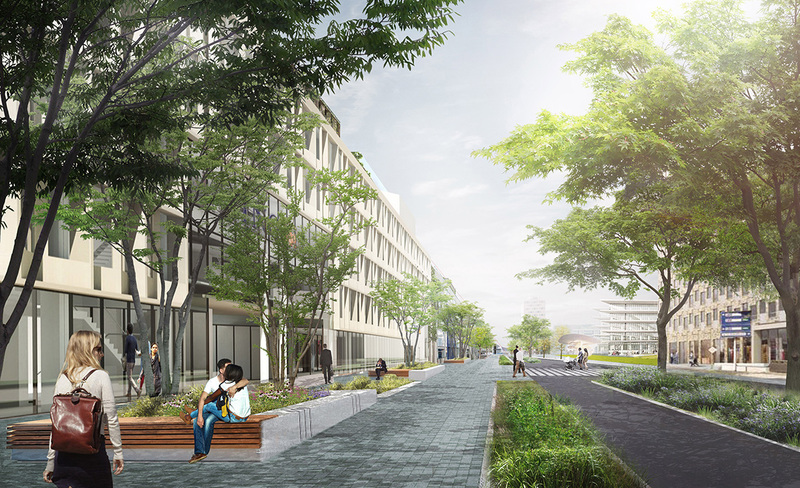 The public pavilion in the middle will form the beating heart of the campus area, also in the evening and weekends. In addition karres+brands has been commissioned by the municipality of Amsterdam and ING to redesign the Bijlmerdreef into a sustainable, vibrant and pedestrian-friendly area. The new ING head office will be constructed by a consortium of OVG Real Estate and G&S Vastgoed and it expected to be completed in 2019.